Thank you for visiting our page - you will be pleased with our accomodations! 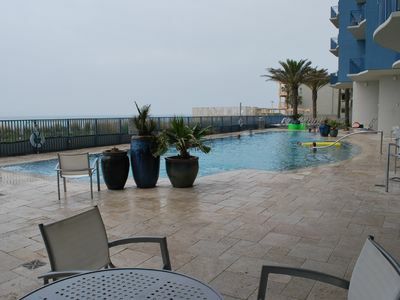 Grand Panama Beach Resort is one of the newest and most luxurious resorts in Panama City Beach .Upon arrival at Grand Panama you will notice the quality and special touches that this fantastic property has to offer. 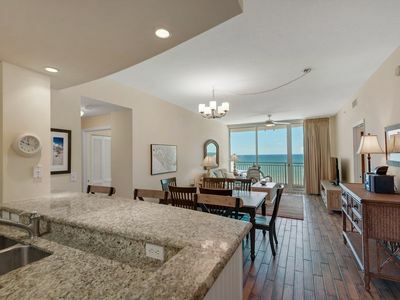 Our beachfront unit #208 is on the 2nd floor, with a poolside / beach view. Everything in the unit is new and was professionally decorated. 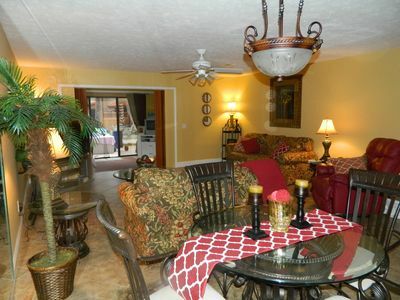 This is a fully furnished 2 bedroom, 2 bath unit, with trundle bed alcove area built in and Sleeper Sofa. 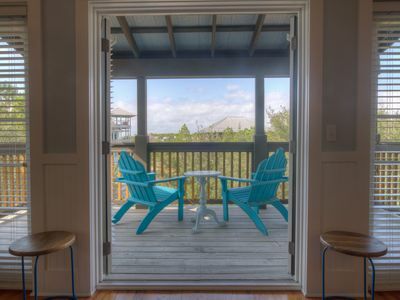 This unit offers Private Internet service, as well as WiFi access. If this particular unit is reserved, please contact me anyway, because we do currently have other units available. 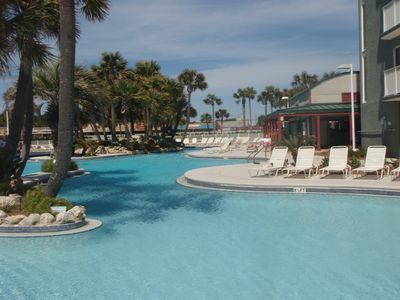 You will enjoy this upscale resort and all the ammenities. The beach is beautiful and the property is stunning with fantastic tropical landscaping. Bonefish Grill is located within 1/2 mile. 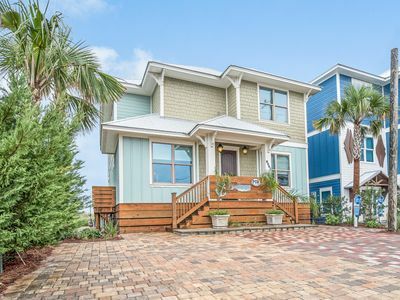 Fishing Pier is located within walking Distance, as well as Waterpark, Shopping and Wine/Spirit Store. We have Flat Screen TV's/DVD's in all bedrooms and in the living room. 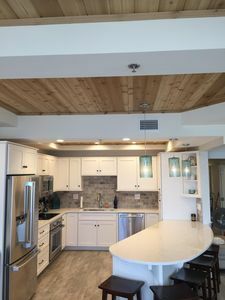 You can stay home and cook in the fully furnished kitchen if you desire, or check out one of the many restaurants or eateries nearby or on property. The views from the private gated access Patio are fantastic and unobstructed. And only steps away from the Tiki Bar! 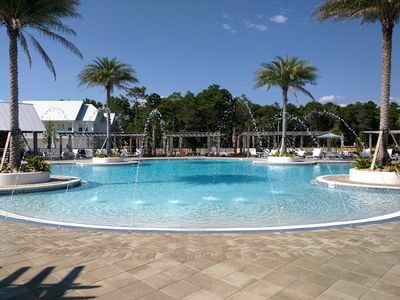 Enjoy many on-site amenities including a full service tiki bar, seasonal beach service and an on-site fitness center with two pools for guest use. 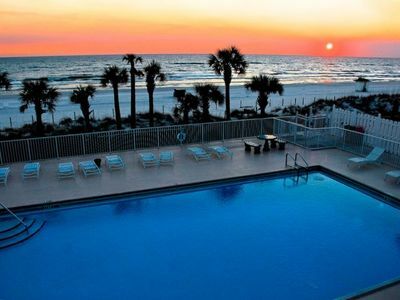 Located on the Gulf of Mexico and St. Andrews Bay in Panama City Beach, Florida, Grand Panama Beach Resort is situated along twenty-seven miles of sugar-white sand beaches and emerald waters—the ultimate setting for a getaway. As a luxury beach resort, we have designed our policies to ensure that we consistently meet our guests’ expectations. We encourage you to review the terms and fees we have itemized here. Also, feel free to contact me for answers to your specific questions. 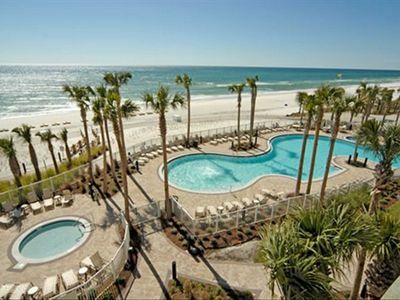 To reserve a room at Grand Panama Beach Resort, our policy requires guests to be at least 25 years of age. Individual situations, however, will be addressed by request. Checkout time is 10:00 a.m. Later checkout times are granted based upon availability. To inquire about departing at a later time, please contact the front desk. A $50 fee per room per hour will be charged for all departures after 10:00 a.m. Check-in time is 4:00 p.m.
To guarantee your reservation, your credit card will be charged an advance deposit equal to the first night’s room rate. If you Cancel your reservation, you will forfeit the Deposit. 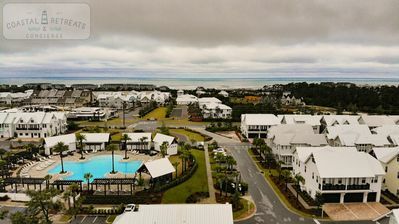 Grand Panama Beach Resort will provide a full refund to guests if a mandatory evacuation for the Panama City Beach area is ordered by the Bay County Emergency Operations Center. Q. 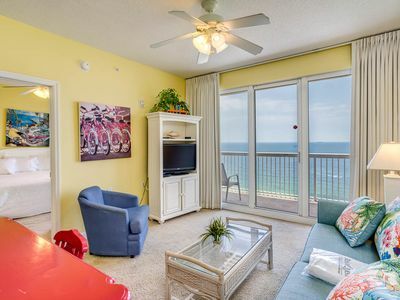 As a rental resort, does Grand Panama Beach Resort provide sheets, towels, pillows and other linens, or do we need to bring our own? A. You do not need to bring bed, bath or kitchen linens. We provide a full set of sheets, pillows and blankets for each bed, as well as linens for the sleeper sofa. 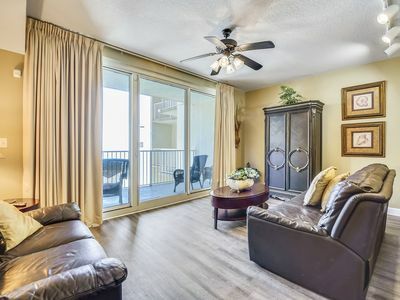 Your unit will also have enough bath towels to accommodate the maximum number of guests per room type, along with hand and dish towels for the kitchen. BEACH TOWELS ARE NOT PROVIDED, SO PLEASE BRING THEM! Q. If we are renting just for the weekend, can we use the dishes and cooking supplies? A. 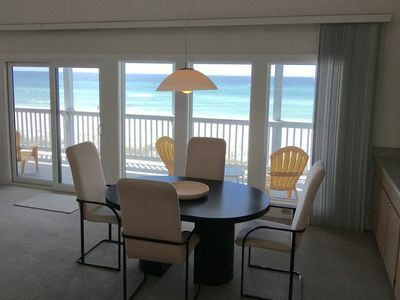 Whether you are renting for one night or an entire season, Grand Panama Beach Resort offers all of our guests the same room and property amenities. We encourage you to make use of everything! Q. 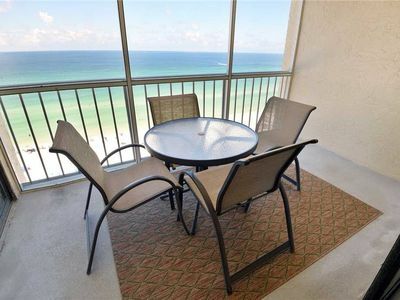 What is the age requirement to rent a unit at the Grand Panama Beach Resort? A. At least one person in your group must be 25 or older. Q. If we check out early, will we receive a credit or refund? A. 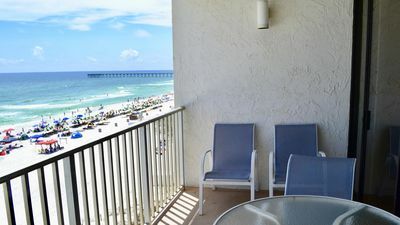 Once you have checked in, you will not receive a credit or refund for any unused portion of your Panama City Beach vacation. Q. Do you offer airport pick up? A. Airport transportation is available from Sunshine Shuttle. Q. Do you offer daily maid service? A. While daily maid service can be ordered, it is not part of our ordinary service. Instead, guests are provided with towels and linens that should accommodate their stay. Each unit also has a washer/dryer, which can be used for personal items as well as towels and linens. Seychelles 1605 - Don’t miss your spring vacation. Book now! Best Unit at HP!!! Rosemary/Alys/Seacrest Walking Dist. 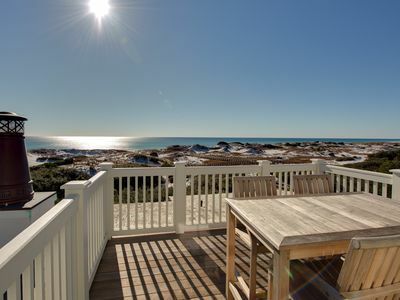 Amazing Gulf Views!!! 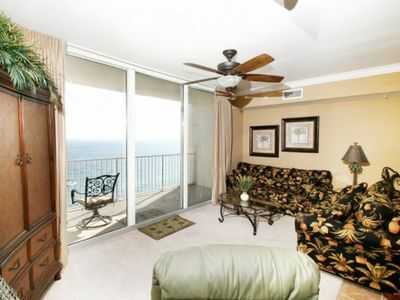 Sterling Breeze-17th Floor Beachfront Views -Pier Park area- Grill on Balcony!!! 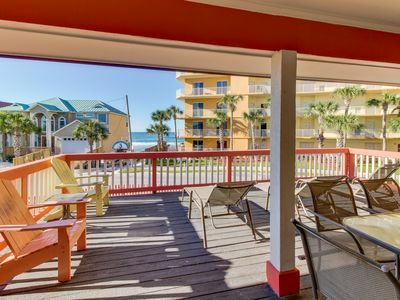 Book today for your 2019 vacation! Beach Oasis. Book now for summer! Guaranteed best value! 'DUNE ALRIGHT' 2 BIKES, POOL, 3 BDRMS, WALK TO HUB! - NEW EVERYTHING! 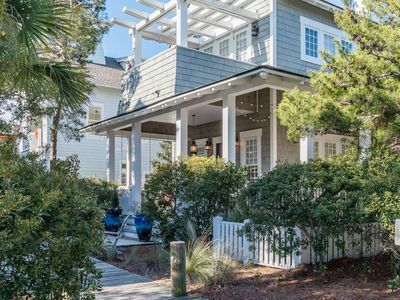 Elegant, dog-friendly home w/ porch, bikes, shared pools & beach access!